Jaguar has revealed details of a new armoured version of its luxury car – the XJ Sentinel. Following on from the sporty XJ75 Platinum concept unveiled earlier this week, the Sentinel is a very different kind of XJ, tailored as it is to the likes of security organisations and governments. Or, let's face it, downright dodgy types likely to have a price on their head. So basically it’s the David Cameron-spec XJ? Indeed. The Sentinel is the XJ of choice for those who either require, or simply take comfort in, extra protection against potentially lethal exterior force. We'd expect to see one wafting along Downing Street in the not-too-distant future. The spec? Well, the XJ Sentinel has an integrated inner-shell constructed from kevlar and special high-strength steel, which is virtually impossible to detect from outside the car. It offers B7-level ballistic protection as well as defence against 15kg TNT or equivalent explosive. Strategically lobbed grenades will also struggle to break down the strengthened floor. It'll be perfect for knocking about Brixton. We’d hardly call the styling of the stock XJ ‘discreet’, but from the outside, the Sentinel shows no signs of the armour plating beneath. Surely all this armour will affect the XJ's performance and handling? The XJ Sentinel is based on the long-wheelbase XJ and employs the 5.0-litre V8 already found in the Supersport, which gets the standard car from rest to 62mph in 4.9 seconds and onto a limited top speed of 155mph. Performance in the Sentinel, however, is comparatively lethargic with a 0-62mph time of 9.2 seconds and 120mph top speed. That's a concrete example of weight hindering performance and economy. Jaguar claims that its engineers have been hard at work on the steering and suspension to give the Sentinel 'the same qualities of poise and agility found in the standard XJ.' We’d imagine that the Sentinel’s extra kilos will be felt in the bends, but since clients are more likely to be sat serenely in the back seat, they’re unlikely to care too much. I’d like to buy a Jaguar XJ Sentinel. What do I do? There’s no word on price yet, but expect to pay a significant premium for the XJ Sentinel over the standard car. This shouldn’t be too much of a concern to the typical customer, though. What Jaguar will offer, though, is special buying guidance from a ‘dedicated security consultant’, in addition to special after-sales care. 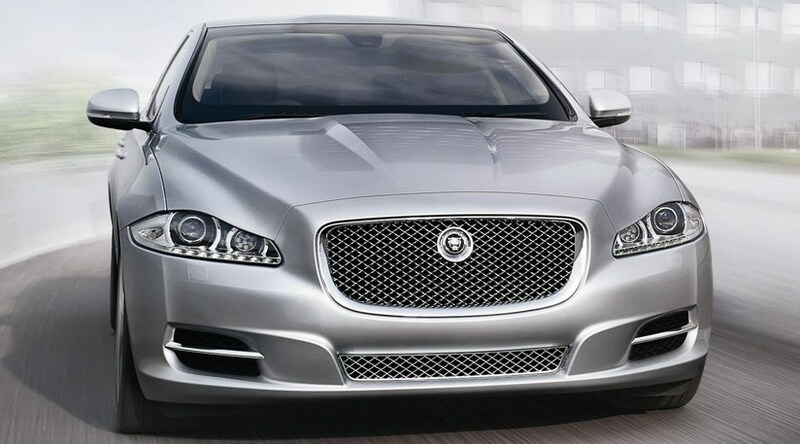 The Jaguar XJ Sentinel will make its debut at the Moscow motor show on 25 August. An appropriate venue indeed.